"Tailgate hinge upgrade for Chevy/GM trucks"
"Helps prevent rust while reduces the noisy grind"
The Ultimate replacment Tailgate hinge for your Chevrolet/GMC Stepside, Fleetside, Jimmy, & Blazer truck. "Patent pending"
54-87 Chevy/GMC Stepside truck tailgates. 58-66 Chevy/GMC Fleetside truck tailgates. 67-72 ﻿﻿﻿﻿Chevy/GMC Fleetside truck, Jimmy and Blazer tailgates. 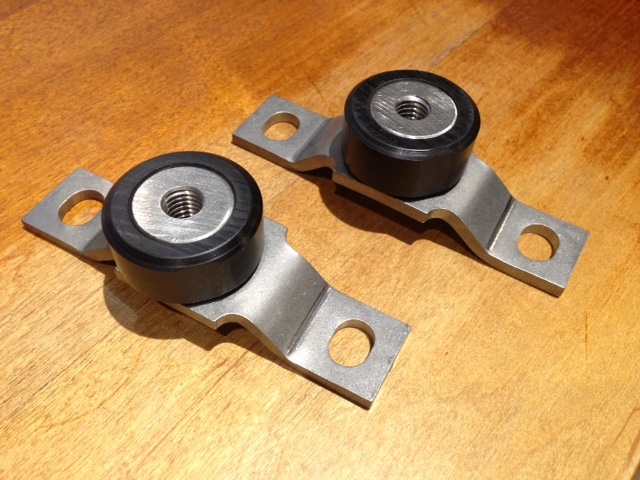 Designed to replace your factory hinge trunnion with a stainless steel trunnion/delrin bearing on your tailgate. 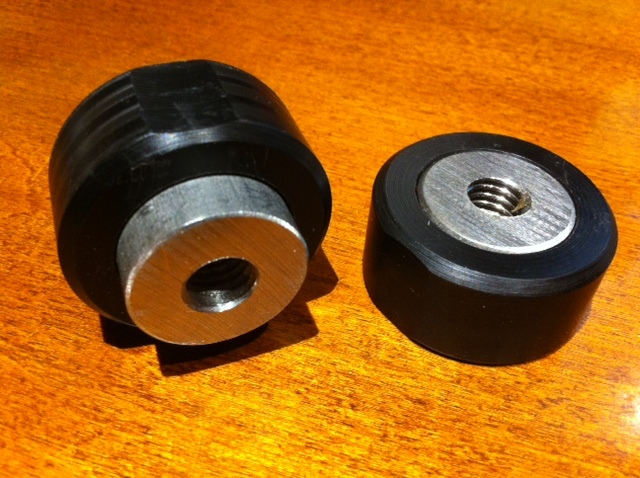 This reduces the friction while improving the opening and closing without the grind of noise that the old factory original or replacement part did while they rusted. If yu just purchase Trunnion ball and delrins, I would recommend that you chrome or powder caot you original hinge plates so further rusting will not occur. Set includes two (6 piece set) (2) stainless steel trunnions & (2) delrin bearings, (2) Stainless hinges plates. You will need to reuse your original mounting hardware! 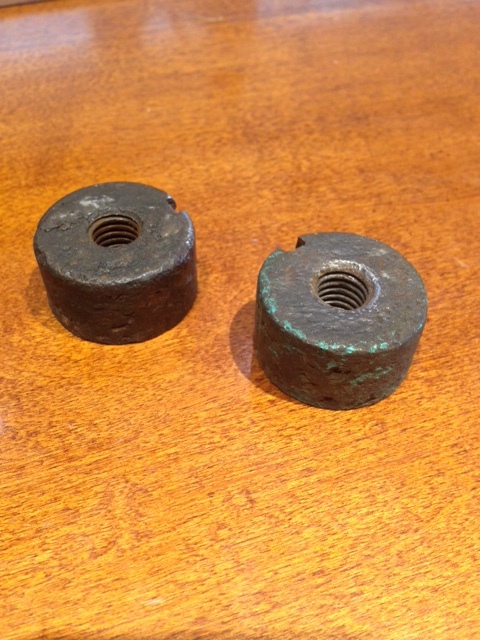 These are some example of the rusted items that create that aweful sound when opening and closing the tailgate. Original trunnion for 67-72, rusted! Original trunnion for 58-66, rusted! 58-66 Replacment, Trunnions sold on the market today! Original 54-87 Stepside trunnion Old rusted and greasy. Copyright 2014 TD Trunnion Design. All rights reserved.